A Great British Weekend highlights the many business and cultural ties between the UK and the US, with a focus on Florida and Georgia. 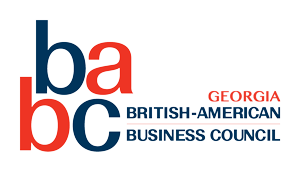 Every spring A Great British Weekend hosts a program of events that promotes the thriving business and cultural connections between the UK and the south-east USA, across multiple categories, from art to technology, fashion to sport, luxury brands to music, and more. Our mission is also to support non-profits, and we partner with over 50 charitable organizations. We also fundraise for charities like The Little Dreams Foundation, in Miami, whose mission is to fulfill the dreams of young talent with no financial means by providing training and advice from professional/celebrity mentors to children with talent in music, art and sports. In Atlanta we also support Soccer in the Streets who empower Atlanta’s youth through soccer training, character development and employability programs. With roots dating back to the 17th century, Britain has a unique relationship with the South East. With $6bn in bilateral trade, there are over 600 British companies employing around 100k people in Florida and Georgia combined.